How we evolved our application to make it easier to find helpful features. 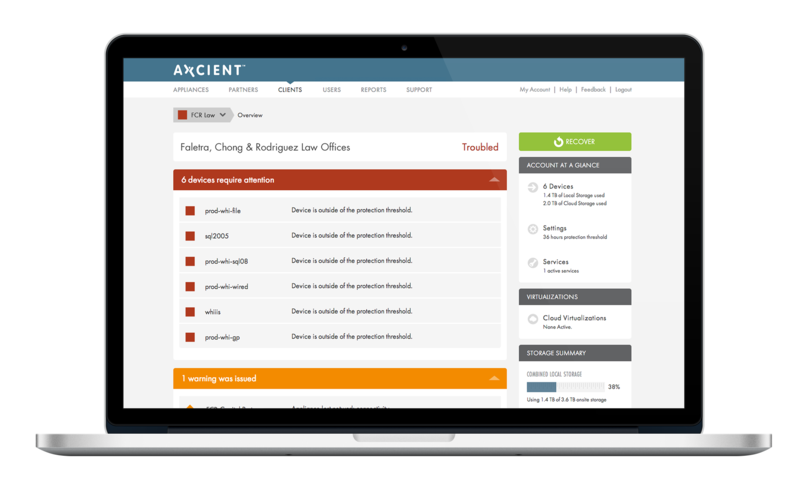 Axcient's product team introduced a new feature called Manage by Exception where I.T. managers were shown servers and services that needed attention the most. This new feature was powerfull but we found that I.T. managers weren't prioritizing this area of the application. We decided to make a complete overhaul and evolved our application to make it easier to find this helpful new feature. We launched a helpful new feature called Manage by Exception that would change the way people used our application. Google Analytics told us that I.T. managers were not using this new feature after it was launched. User research told us that the best way to focus users on Manage by Exception was to bring it to the forefont. 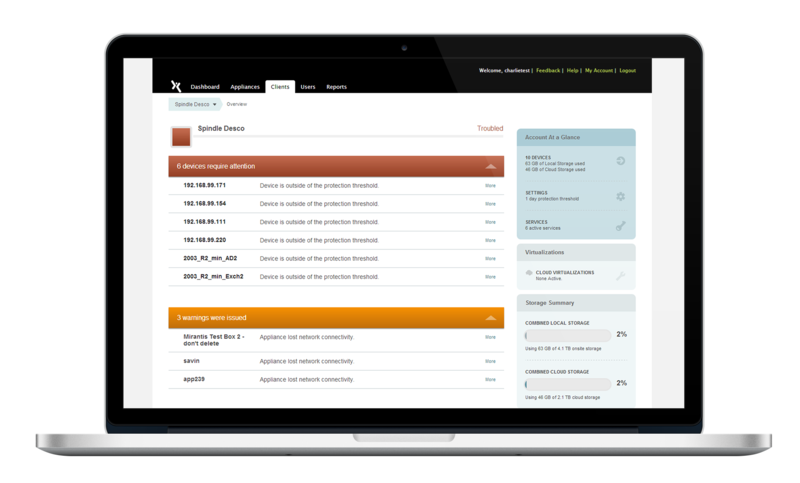 We decided to evolve our application, and in the process, emphasise the focus on Manage by Exception.